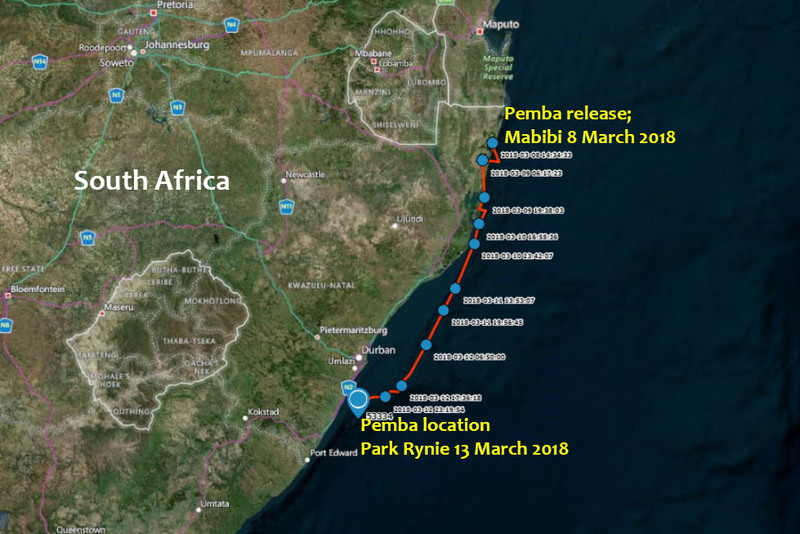 Pemba seems to be swimming with purpose down our coastline, with not much exploring along the way. 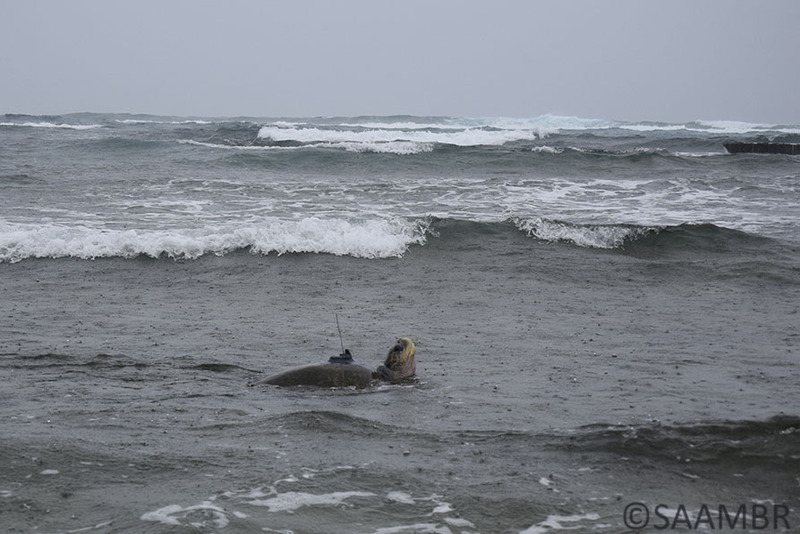 Since her release on Thursday 8th March, she has traveled a total distance of 425km. 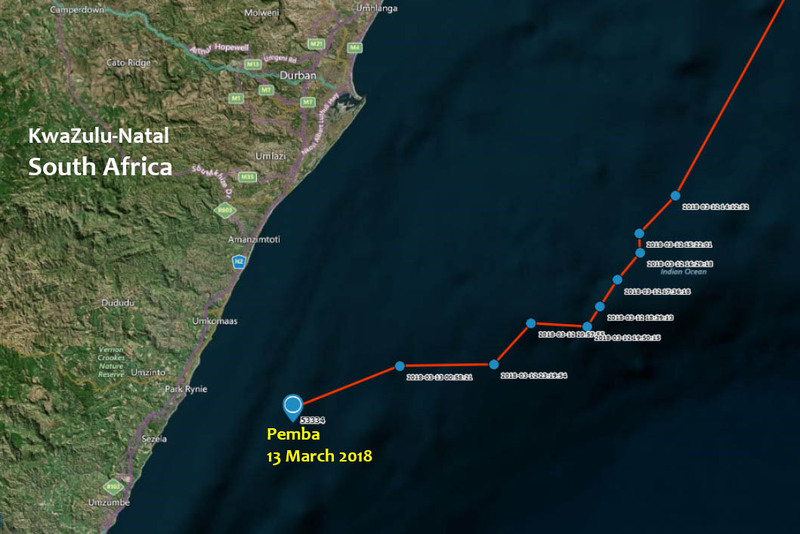 She is currently offshore from Park Rynie on the KwaZulu-Natal coast.